An assault by militants at a large parking lot on the outskirts of Afghan capital, Kabul, Friday night left at least 200 fuel tankers incinerated. 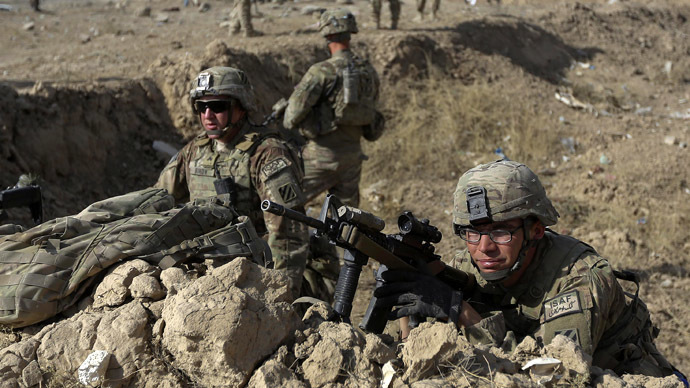 The Taliban said the privately-owned tankers were targeted because they supply foreign troops. “The number of tankers on fire is not yet clear, but based on preliminary reports from police around 200 tankers have been burned,” Reuters cited the Afghan Interior Ministry as saying. 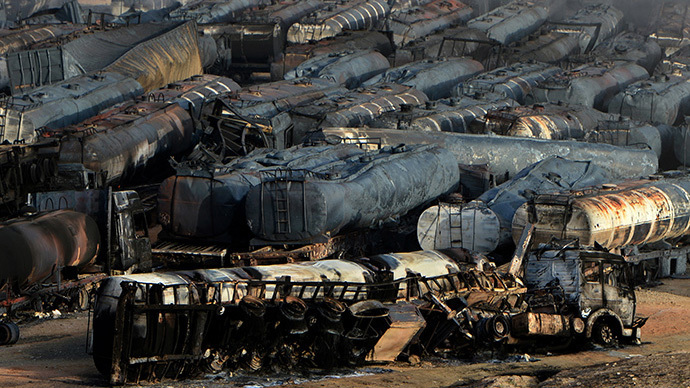 AP, meanwhile, reported that 400 tankers had been burned out. Taliban fighters fired four RPG rockets at a logistics compound in the Paghman district of the capital, said Hashmat Stanekzai, a spokesman for the Kabul police, confirming that the number of burned-out vehicles could reach 400. Police are still investigating the case and though no casualties have yet to be reported “we fear the worst,” Stanekzai said, adding that fire had continued for a long time. Other sources said the insurgents also planted magnetic bombs to set the tankers on fire. “It was a magnetic bomb that caused the fuel tankers to catch fire,” said Gul Aghan Hashimi, criminal investigations director of the Kabul police, AFP reported. The attackers were in uniforms so the Afghan security forces and drivers were confused and could not understand what was going on. “If it was the Taliban or other people, they were dressed in uniform we couldn't understand what was happening. 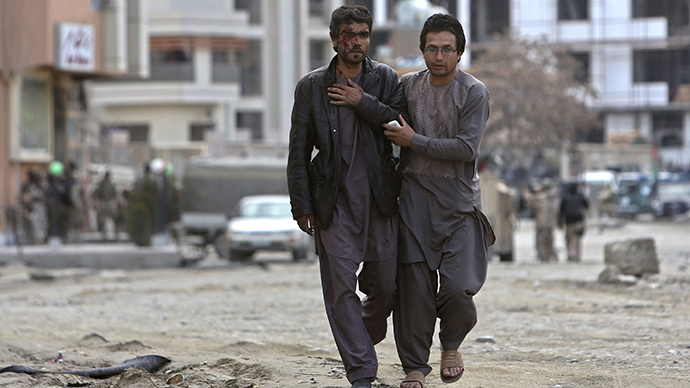 They were shooting towards the drivers and also they were setting tankers on fire, any of the drivers who wanted to turn on their truck, [the attackers] would target them,” fuel tanker driver Juma Gul told AP. 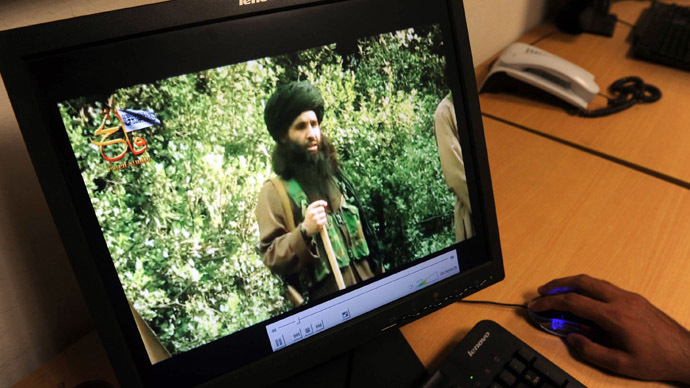 In a statement early Saturday to the media, Taliban spokesman Zabihullah Mujahid claimed responsibility for the attack. 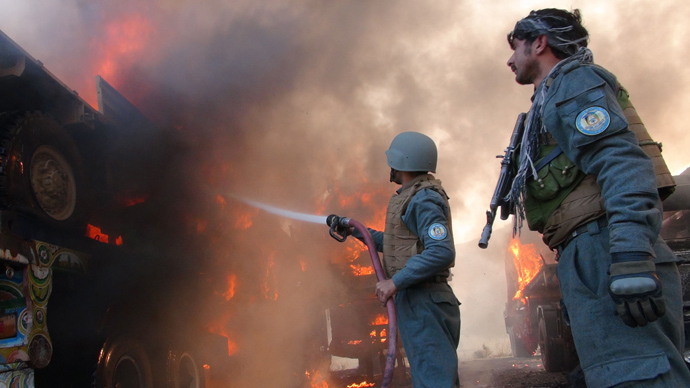 “Our brave Mujahideen fighters in a special tactic have set ablaze hundreds of fuel tankers in the west of Kabul, which were supplying fuel and food for foreign forces,” he said. 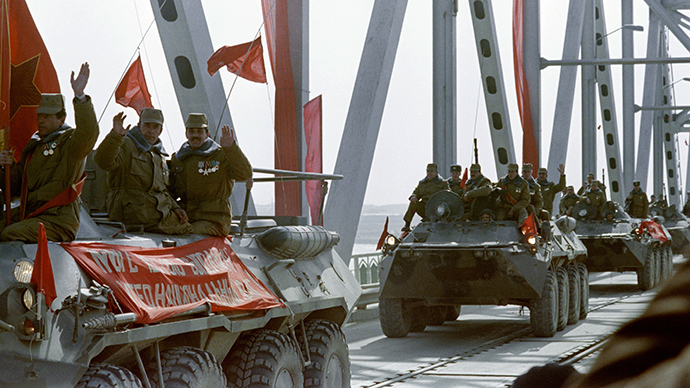 Taliban fighters have been attacking convoys bringing supplies for NATO-led forces in landlocked Afghanistan for years now, but tankers have recently become their primary target. 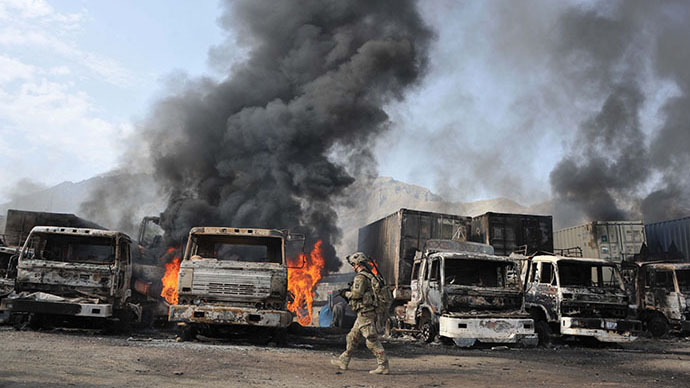 The previous attack on fuel tankers took place June 19, when an attack of Taliban suicide bombers on a convoy of fuel trucks at the Pakistan border triggered a firefight between police guards and Islamist insurgents, resulting in 37 fuel trucks being burned. ISAF troops, the US-led international contingent in Afghanistan, get most of their fuel supplies via the Pakistani port of Karachi. The ISAF supply route via Pakistan has never been secure, because of the Taliban’s activities there and because the authorities in Islamabad and locals have more than once blocked the route because of the drone war the US government is waging against the Islamists in the country, and also because of friendly fire incidents involving the US Air Force. 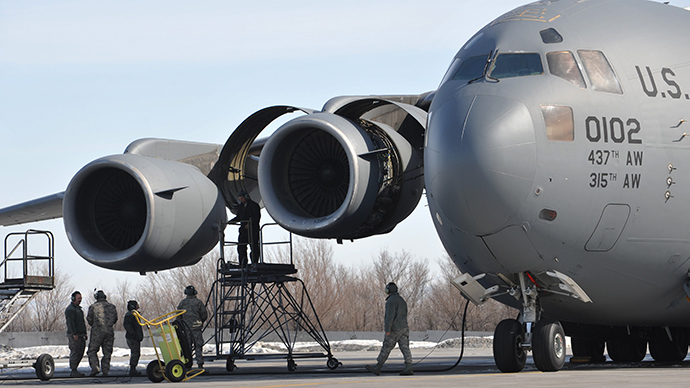 In June, the US military finally closed its key transit center at the Manas airport near Bishkek in Kyrgyzstan. 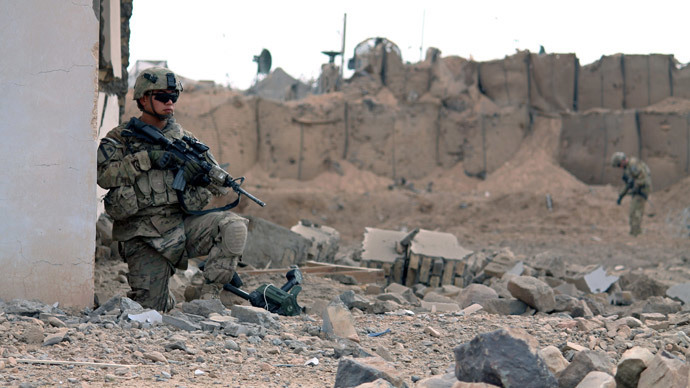 During the 12 1/2 years of the Afghan military campaign the facility remained the primary air supply hub for the ISAF’s contingent in the war zone. 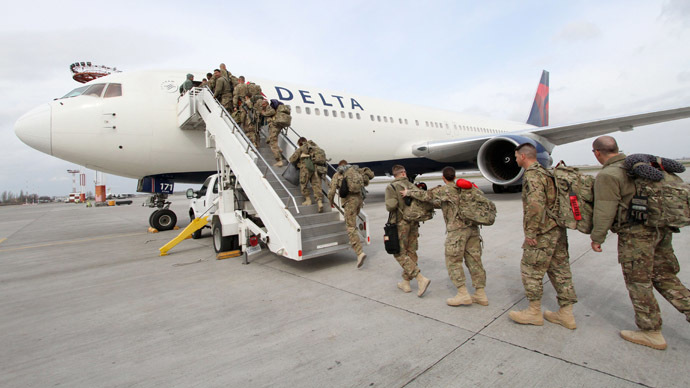 In 2012, Russia allowed NATO to use not only ground, but also aerial, routes for the transit of weapons and military hardware to and from Afghanistan. Now that the tensions between Moscow and Washington over the unfolding civil war in Ukraine are higher than ever, the US military has to consider the challenge of transporting millions of pieces of military assets out of Afghanistan when all possible exit routes – including through Russia – are blocked.